The Role of Isolation in Radicalization: How Important Is It? This thesis provides an in-depth analysis of three well-known terrorists in order to illuminate the role isolation plays in the radicalization process. 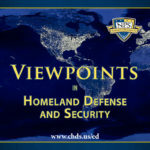 By better understanding the contributing factors of radicalization, homeland security officials may be better positioned to effectively intervene, prevent, or deter radicalization.